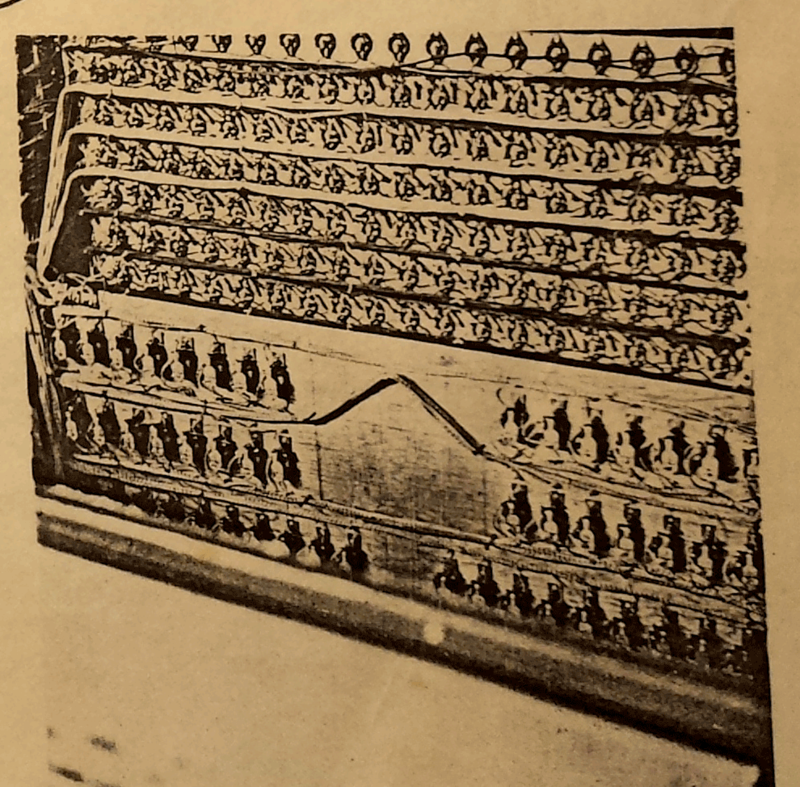 The French electrical engineer, mechanic and doll modeller, René Bertrand, who had been experimenting with electronic instruments as early as 1914, was a long time friend and collaborator with Edgard Varèse and with Varèse’s support Bertrand developed the “Dynaphone” (not to be confused with Cahill’s “Dynamophone” or “Telharmonium“). 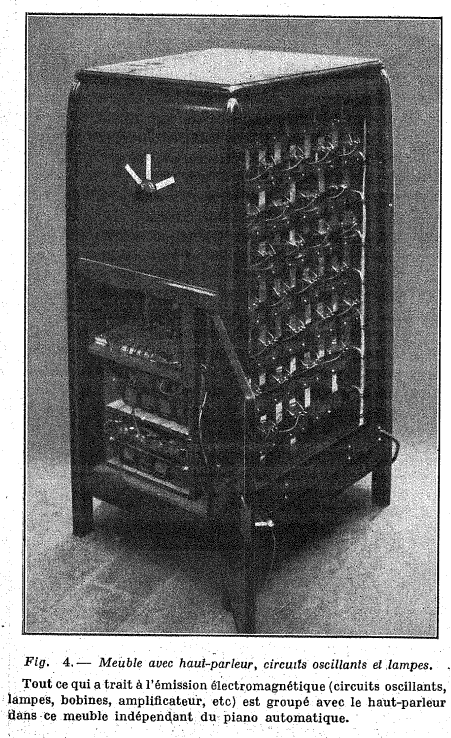 The Dynaphone was a portable, monophonic instrument controlled not with a keyboard but played with a pitch-lever and volume switch. 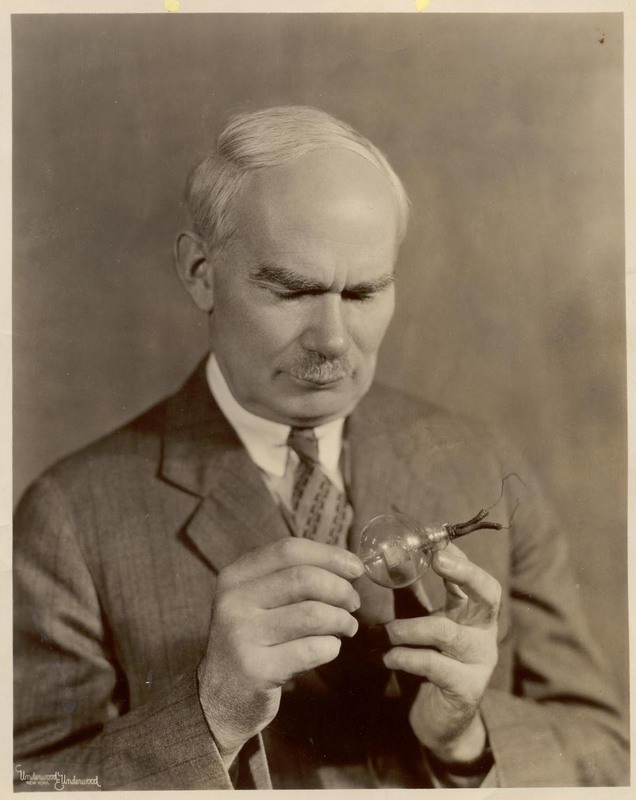 The instrument was semi-circular in shape with a diameter 0f 30 cm played on top of a table. 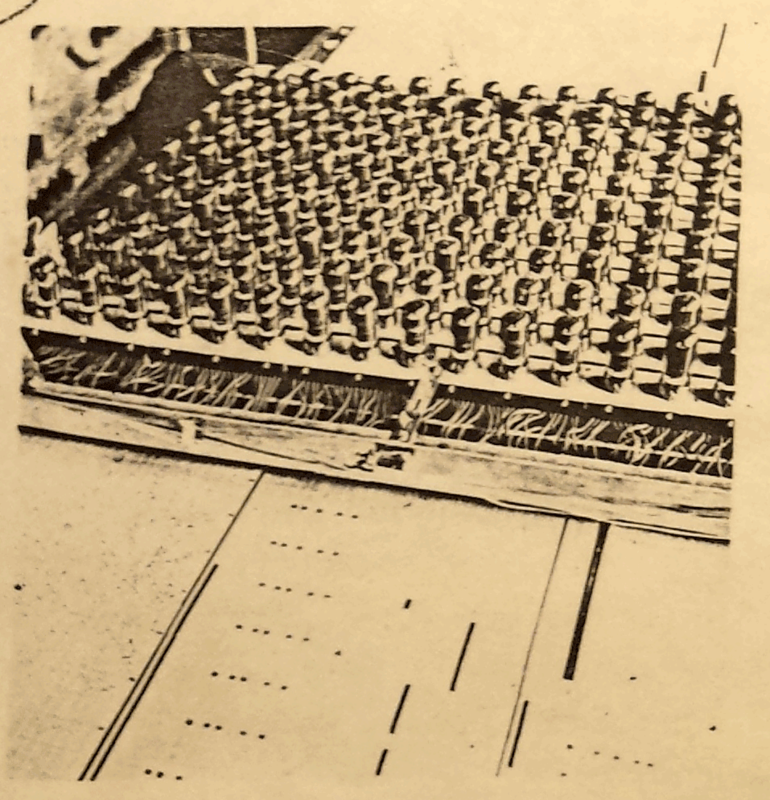 The Dynaphone belonged to a family of dial-operated non keyboard electronic instruments developed around the 1930’s such as Mager’s ‘Spharaphon‘. The right hand controlled the pitch using a circular dial on a calibrated disc (cardboard cut-out templates of music could be inserted). 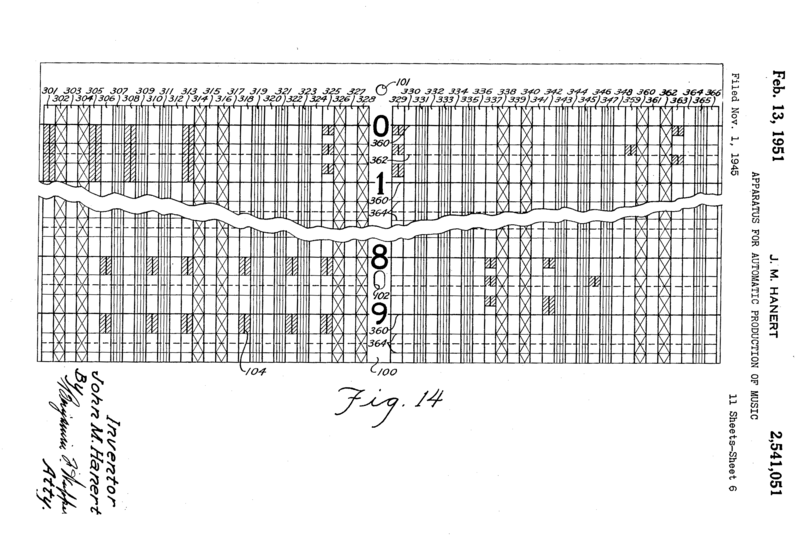 The total rotation of the dial was equal to seven octaves but only the five highest or lowest could be selected at any one time by the means of a switch, giving an overlap of three octaves common to both ranges. 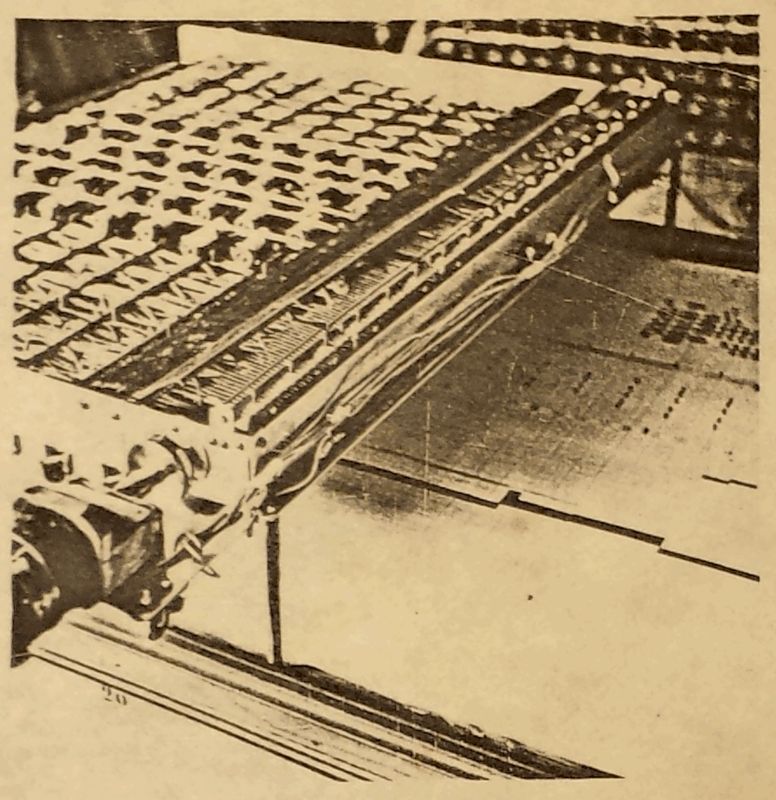 Additional vibrato effects could be added by moving the right hand to and fro slightly and the machine also included a push button for articulating the sound. 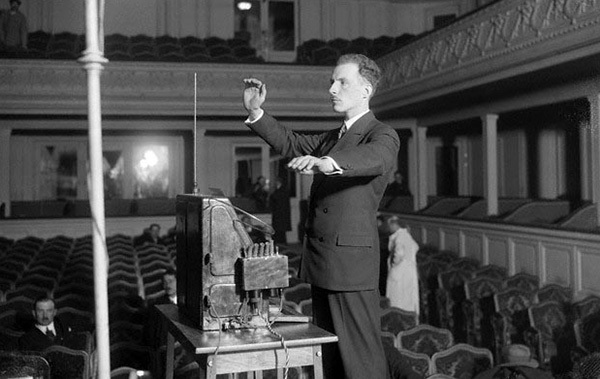 The left hand controlled the volume and timbre – described as similar to a cello, low flute, saxophone or french horn. 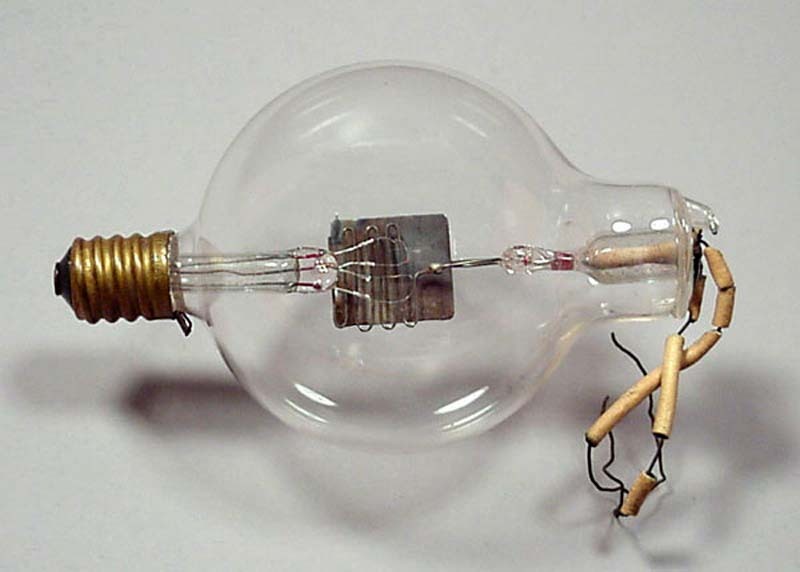 The Dynaphone generated sound by the by-now standard method of a heterodyning vacuum tube pair, originally used in Leon Termen’s ‘Theremin‘. By means of loading the fundamentals with certain series of harmonics to obtain timbres which will produce new sounds. To speculate on the new sounds that the combination of two or more interfering Dynaphones would create if combined as one instrument. To increase the range of the instrument to reach the highest frequencies which no other instrument can give, together with adequate intensity. Despite Varèse’s assertions, the Dynaphone was not distinctly different from its close competitors and the Guggenheim Foundation did not sponsor Bertrands work despite several further attempts by Varèse. 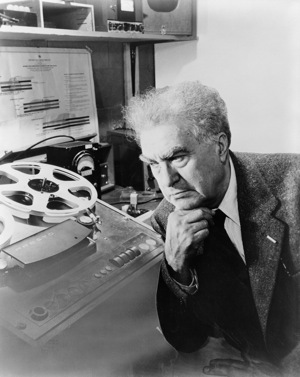 In 1941, Edgard Varèse, in the hope to resume his collaboration with Léon Theremin, wrote him the letter reported below (courtesy of Olivia Mattis ), but the inventor wasn’t able to read it until 1989, when musicologist Olivia Mattis, during an interview with Theremin (first emerged from Russia after 51 years), presented a copy of it. The letter is dated May 5, 1941. On my return from the West in October I tried to get in touch with you. I wanted very much to see you again and to learn of the progress of your work. I was sorry – on my account – that you had left New York. I hope that you have been able to go on with your experiments in sound and that new discoveries have rewarded your efforts. I have just begun a work in which an important part is given to a large chorus and with it I want to use several of your instruments – augmenting their range as in those I used for my Equatorial – especially in the high range. Would you be so kind as to let me know if it is possible to procure these and where … and in case of modifications in what they consist. Also if you have conceived or constructed new ones would you let me have a detailed description of their character and use. I don’t want to write any more for the old Man-power instruments and am handicapped by the lack of adequate electrical instruments for which I now conceive my music. P.S. If any of your assistants or collaborators are continuing your work in New York would you kindly put me in touch with them. 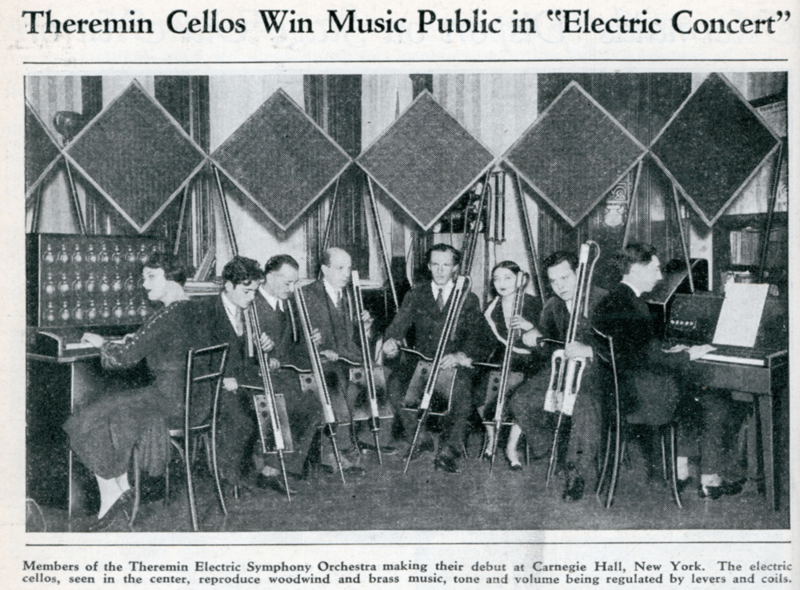 Review of a concert of six Dynaphones from ‘Numéro Le Gaulois’ February 12th 1982. ‘L’Afrique du Nord illustrée’ 05-05-1928. 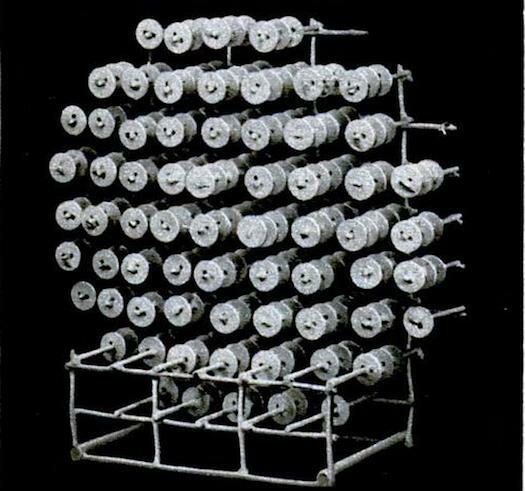 ‘René Bertrand’s Dynaphone: Roses de Metal by Arthur Honegger’. GloryLynn Foster Van Duren. 1983. 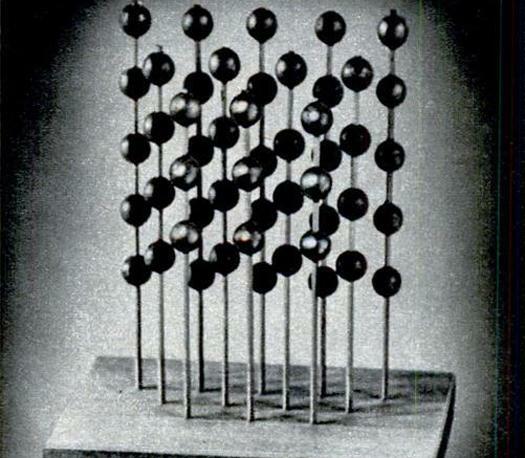 ‘Numéro Le Gaulois’ February 12th 1982. 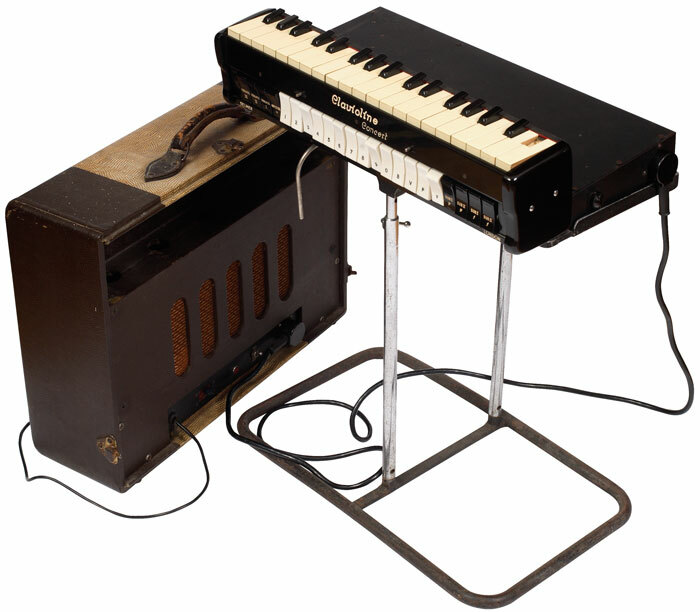 The Clavioline was designed to be a light portable electronic keyboard aimed at pop musicians of the time and became one of the most popular electronic instruments during the fifties. The Clavioline was a monophonic, portable, battery powered keyboard instrument. 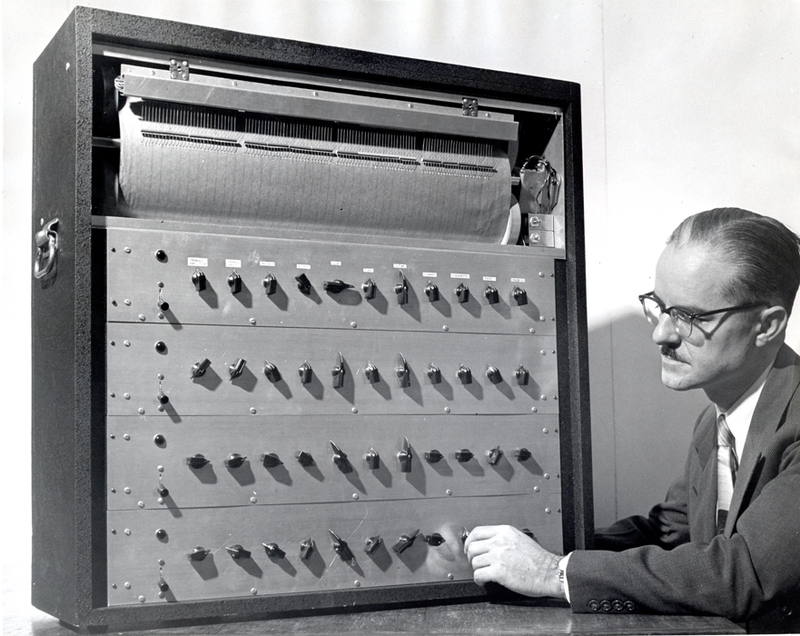 The first version of the instrument appeared in 1947 and was originally designed by M. Constant. 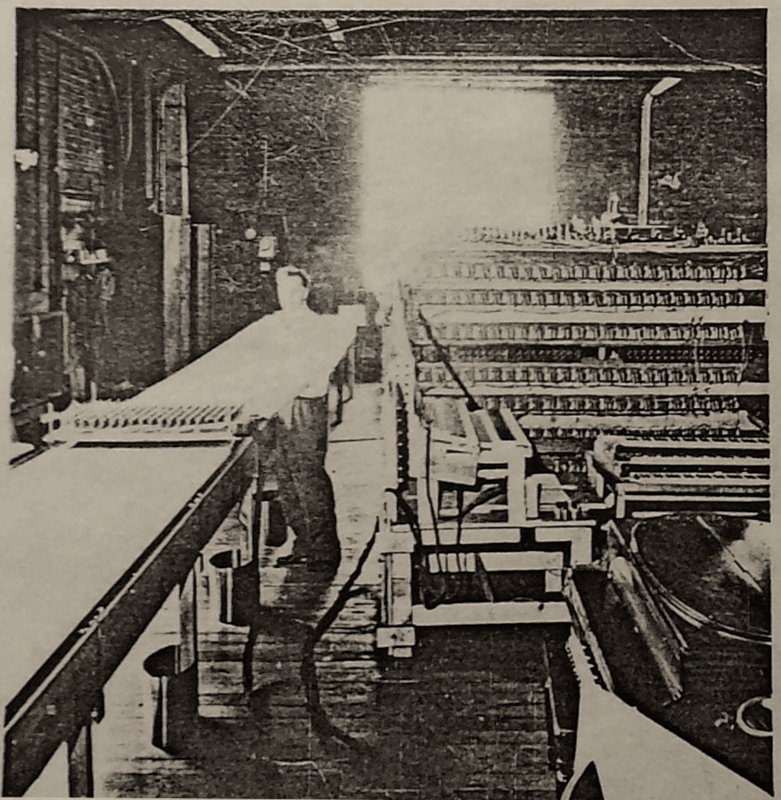 Martin in 1947 at his factory in Versailles, France. 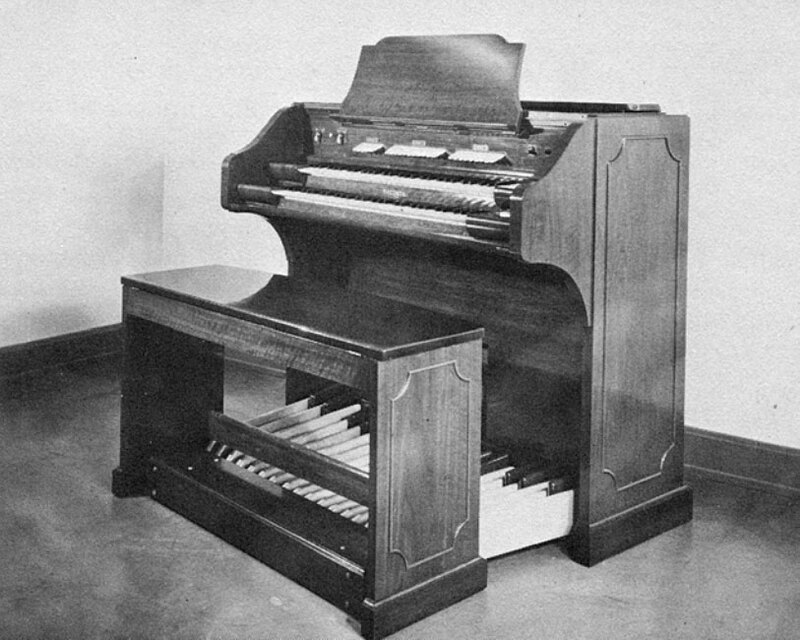 The Clavioline consisted of two units: the keyboard with the controllable sound unit and a carrying case box fitted with an with amplifier and speaker. By using an octave transposer switch the single oscillator could be set within a range of five octaves (six in the Bode version). 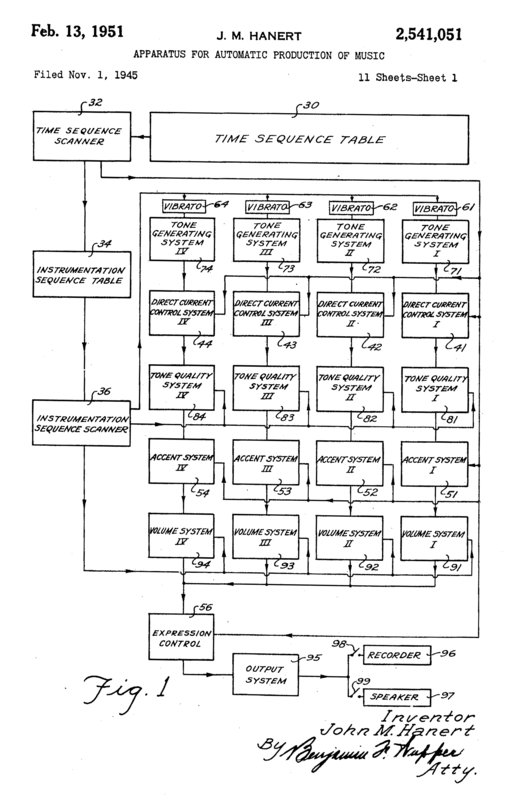 The keyboard unit had 18 switches (22 in the Selmer version) for controlling timbre ( via a high pass filter and a low pass filter ), octave range and attack plus two controls for vibrato speed and intensity. 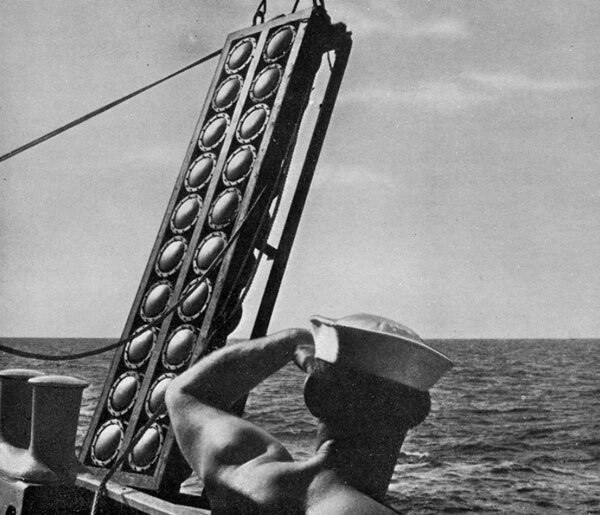 The overall volume was controlled by a knee lever. 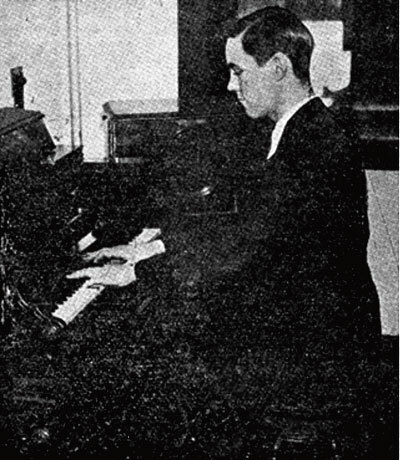 Martin produced a duophonic model of the Clavioline in 1949 shaped like a small grand piano and featuring a 2 note polyphonic system, the duophonic model never went into production. The Clavioline made brass and string sounds which were considered very natural at the time and was widely used throughout 1950’s and 60’s by pop musicians such as the Beatles, Joe Meek’s ‘the Tornadoes’ (on’Telstar’)and by experimental the jazz musician Sun Ra. The Clavioline was licensed to various to various global manufacturers such as Selmer (UK) and Gibson (USA). An expanded concert version was produced in 1953 by René Seybold and Harald Bode, marketed by the Jörgensen Electronic Company of Düsseldorf, Germany. In the 1940’s Claviolines were also built into large dance-hall organs by the Belgian company Decap and Mortimer/Van Der Bosch. 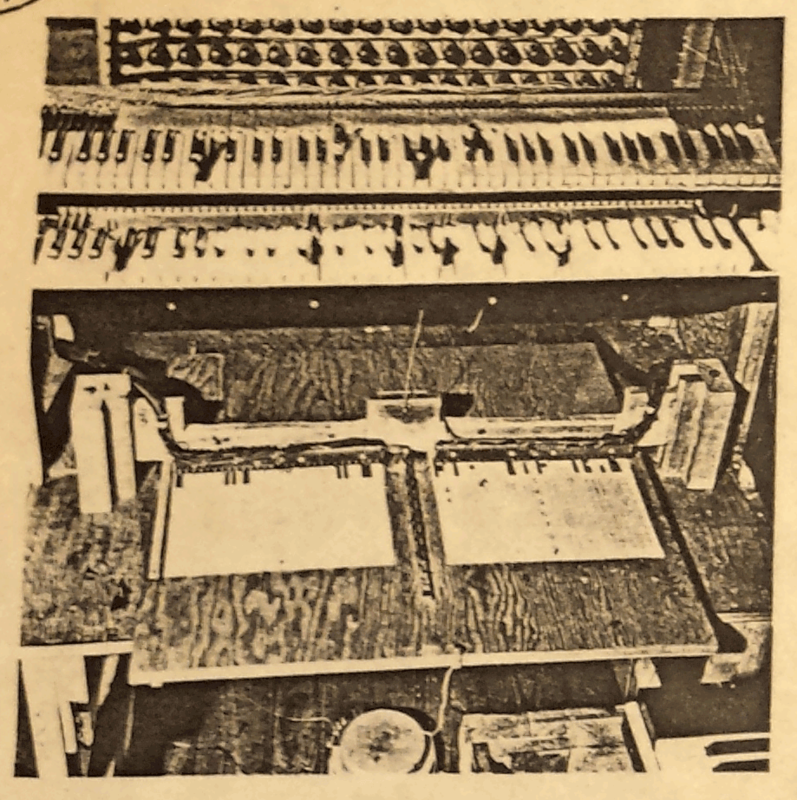 Although based on the established ‘beat frequency’/heterodyning principle, Kent’s instrument employed a more complex system of frequency changers to create a more interesting range of timbre and control over the shape of the note. 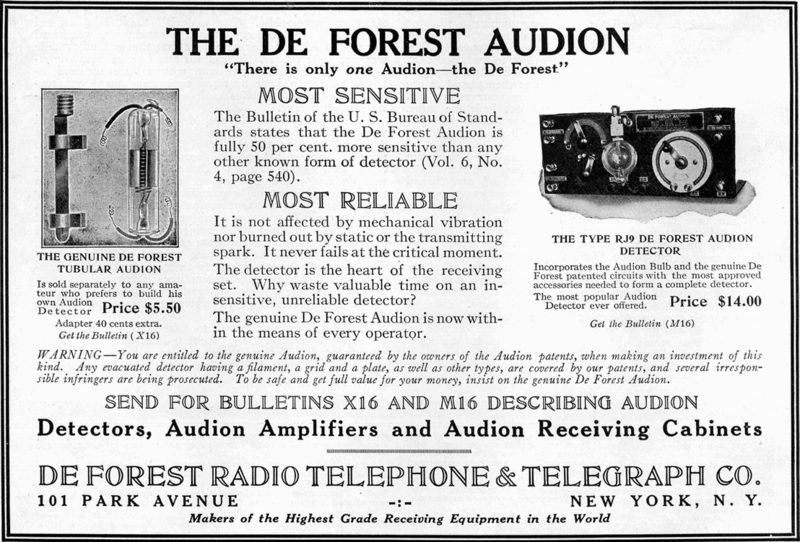 The Music Box was designed to allow control off the ‘slurring’ of the note, formant filtering control and control of volume and depth and rate of tremolo. 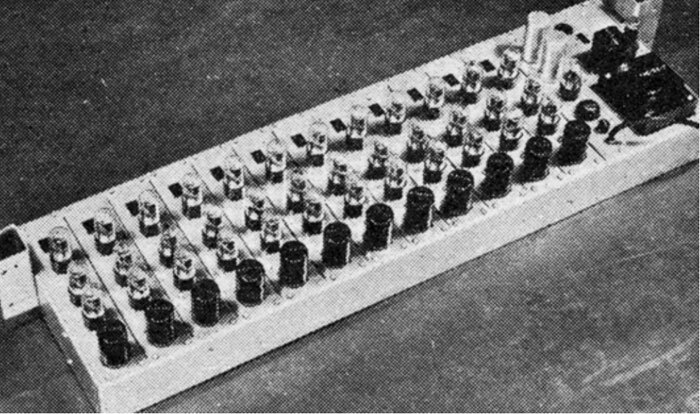 The Electronic Music Box was influential on the development of electronic musical instruments, Dr Kent was visited by Harry Olson who later adapted features of his RCA synthesiser to incorporate functions of the Music Box, but the Conn company chose not to exploit the commercial possibilities of the instrument. “The Composer-tron is an electronic device that enables a composer or arranger of music to create his composition directly as he conceives it. The conventional aeries of intermediate steps—sheet music—musicians—musical instruments—room acoustics—microphones—are all eliminated. The composer produces his musical record for instant audition and he may do it in nearly the same time that he would take to compose and write a conventional musical score. The musical sounds he may use are limited only by his imagination since they may be like familiar musical instruments or completely unique. 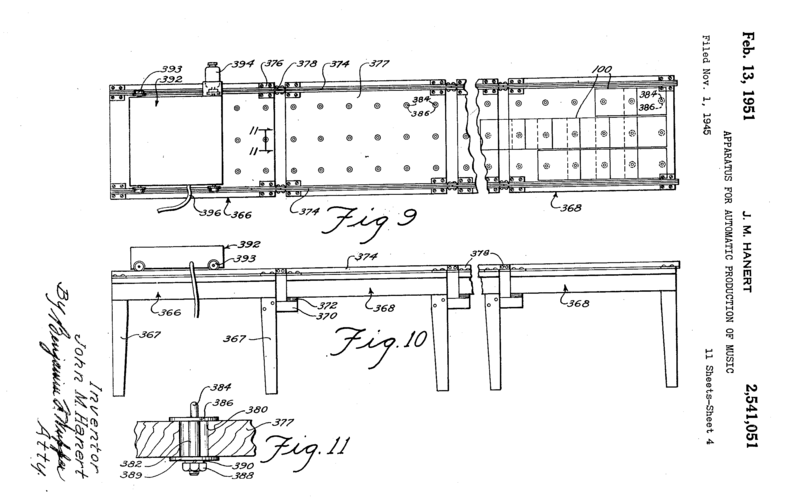 The Composer-tron is not a musical instrument and it cannot he “played” in any sense at all. It’s designed to make records and it may be used for recording from a microphone. 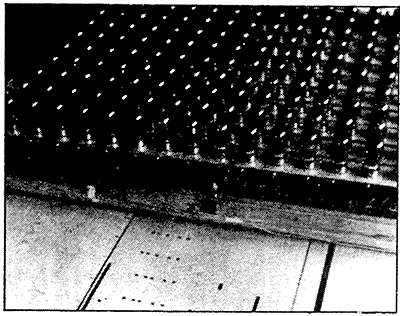 However, the Composer-tron is fitted with a new kind of electronic musical tone generator that may he adjusted by the composer to provide sound waves of any pitch, having overtones of any degree of complexity The tones may be made to match those of any known musical instrument or the wave structure may be set to tone qualities that could never be duplicated by any conceivable mechanical musical instrument whatever. The complex tones thus generated are shown to the composer in greatly enlarged form on a television tube screen. The composer then draws a design or pattern on a second screen. 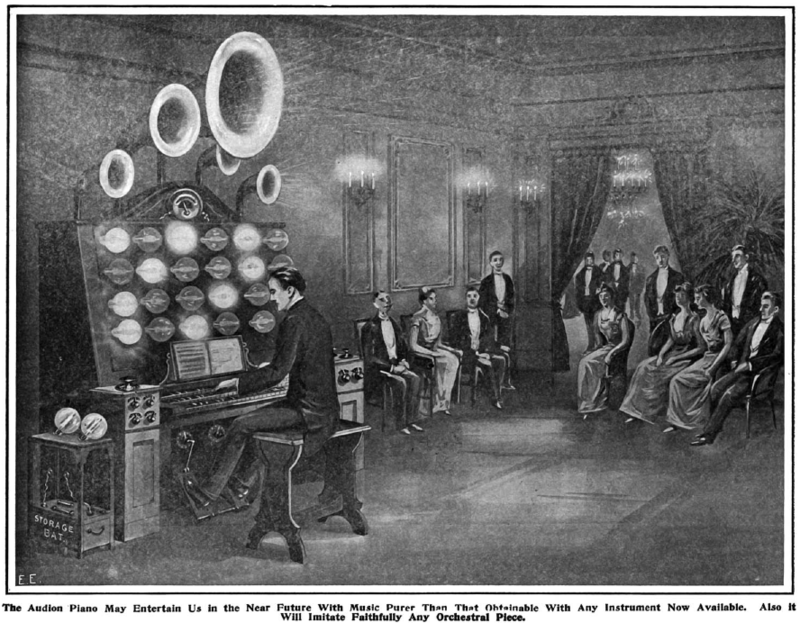 These designs may be original or they may be copied from the designs presented by recorded musical playings. Such designs often contain the elements of the “‘touch” of the musician and they can be made visible on the TV tube screen. This facility provides for the first timer means whereby the nuances of a musician’s touch may be superimposed on an electronic sound source. The design is transferred by methods similar to television. The resulting combined visible tone designs are converted into waves which are recorded and instantly auditioned over a loud-speaker. 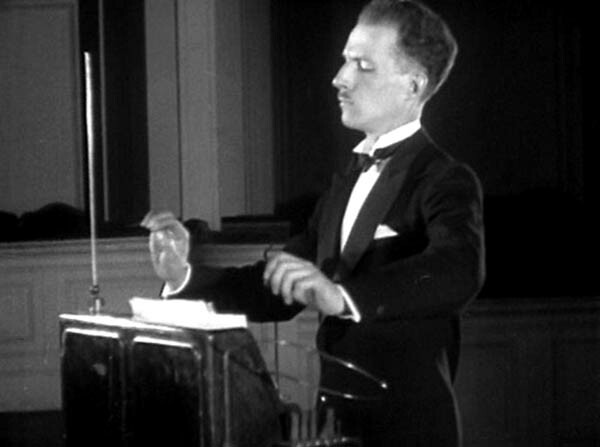 The Composer-tron was designed primarily to provide synthesised soundtracks for films produced by the National Film Board of Canada during the post-war period of interest in hand-drawn audio soundtracks and experimental techniques (see the works of Norman McLaren and others). 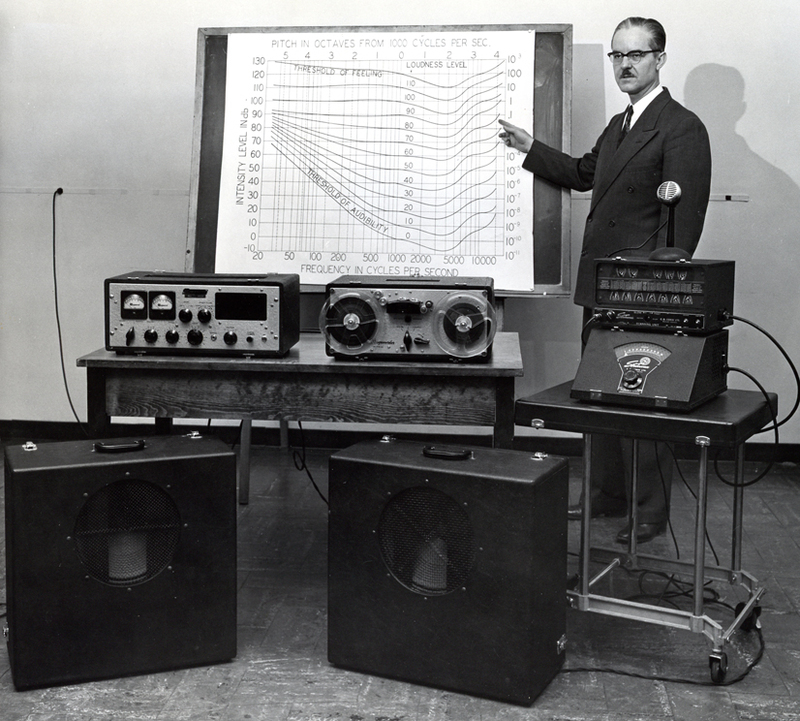 However with limited funding and scepticism from the NFBC the Composer-tron project ran into financial difficulties – An attempt during the early 1950’s to develop a commercial model aimed at amateur composers with funding from the Marconi Company proved unsuccessful. 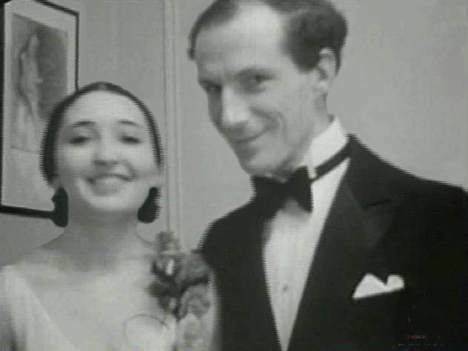 In desperation, Kendall and his mentor Louis Applebaum tried to keep the project alive by seeking funding from the Canadian military and the Bell Telephone Company which were ultimately also unsuccessful. 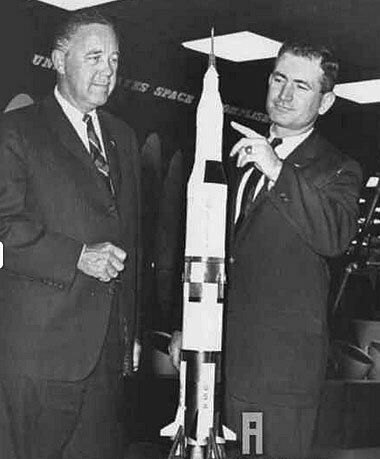 The project was mothballed sometime in the late 1950’s. ‘The Art Of Electronic Music’ p46 Rhea,Tom.L. Edited by Darter,Tom & Greg Armbruster 1984 GPI Productions. 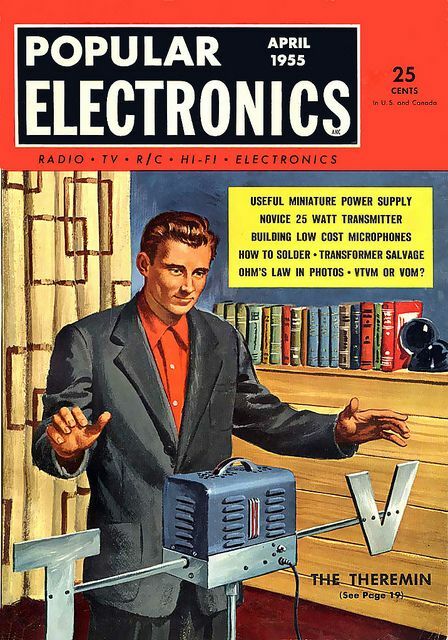 Alan Phillips, ‘Osmond Kendall’s Marvellous Music Machine’ Maclean’s Magazine, June 11, 1955. 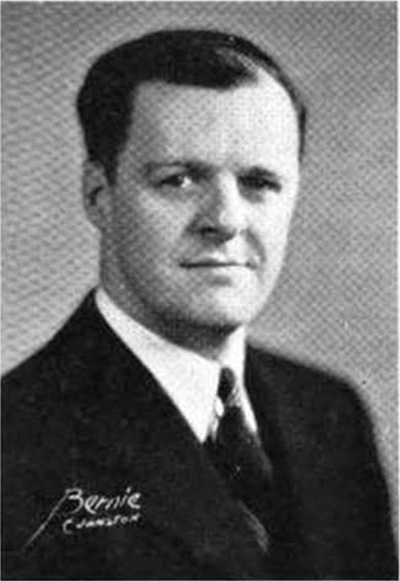 [p.54]. York University Archives, Louis Applebaum fonds 1979 -002/030. 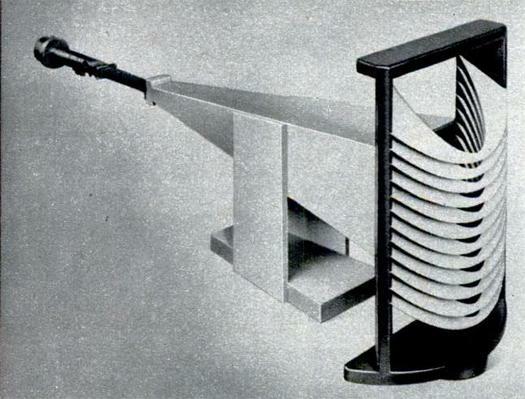 ‘Composertron’ Hugh Davies. The Grove Dictionary of Musical Instruments, 2nd edition, issue Published in print January 2001.